Same here... 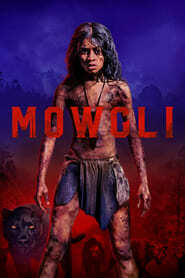 I like the darker tone they're taking with this, but the CGI looks kinda dodgy in some places, and the boy playing Mowgli doesn't seem all that great at acting IMO. I'm sure I recall there being an existing thread too, but I searched and couldn't find one *shrug*. Do we really need this so close to Disney's own live action take (which I've also yet to see)? I’m not too sure on the CGI plus I much prefer the voice cast for the other version. I agree. The CGI looks odd to me, But I think I figured out why. It's their faces. They tried to take the facial features of the actors playing the roles... but in doing that, it makes them look less like animals and more like some creepy hybrid cgi creature lol. I know they still have time to clean it up... but right now, I'm not a fan of how it looks. Funny, these two were announced right around the same time... But yet this one comes out over 2 years later. Time flies. Just rewatched the trailer with what you said in mind and you're exactly right... what an odd decision! The wolves look especially weird... even my 9 year old niece commented on how strange they look (wolves are her favourite animal) lol. Finally - I remember this being the version of the 2 that were supposed to come out last year, that I actually wanted to watch. Even though the re-make DIsney did, was enjoyable and decent, am not one for direct remakes like that. Hmm that's not a good sign IMO... looks like WB don't even have much faith in their own movie. Serkis deserves better! In Select Theaters DEC 7 2018.